← Throwback (Dennis) Thursday: Is It Noon Already? Merry Christmas to you and your peeps! My mom now wants a lite brite for Christmas next year. BOL She loves those things. 🙂 Hope Santa was good to you. Merry Christmas to you and your family Dennis. Merry Christmas to you and your peeps, Dennis! Have a merry Christmas, Dennis! Imaginary friends? I thought everything was 100% factual, you know, like those “Based on Real Events” TV shows. 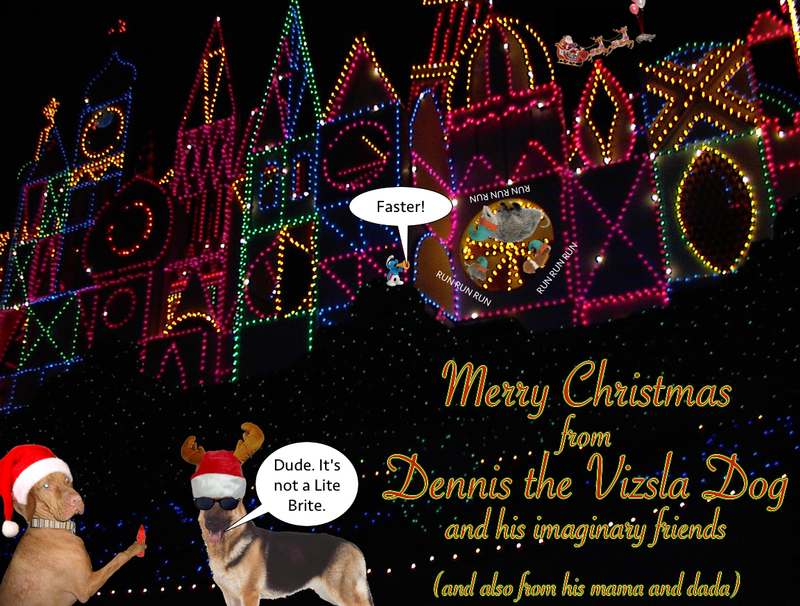 Merry Christmas to you and your whole family, Dennis, including your imaginary friends. We aren’t sure which friends are imaginary…but we don’t think we want to know! Merry Christmas Dennis and family! Meowy Katmass Dennis an Mitey Saya an Spicoli an thee hole gang!!!! !